Covert Social Press Theme for WordPress. to make the theme work. wp theme, and you’re never going to guess it was a wp theme. you’re gonna want to keep this one and make it work for you. leave a comment if you would please. But you can use Covert Social Press to build sites on ANY topic you want! … including single niches or a big site covering multiple topics like for example Digg. Anyway… I’m sure you’ll have to agree that the design looks very crisp, clean and professional! However, the best part is that I did not write a single word on that page myself! It’s all bookmarked content from other sites and I’ll show you how that works in a bit. The look above is how a Covert Social Press site looks “out of the box”… Yep, your first site will look this good without you having to fiddle with any settings to achieve it! But of course we built in the option to customize anything you want… all the options are on one simple page and can be changed with just a few clicks of your mouse! Many uses. Traffic being number one. it just a “theme” hardly does it justice! straight from your WordPress blog! and building it for you. it looks like a million bucks too! in a WordPress theme before. I just can’t resist a good WordPress Theme! Theme Rabbit is one hot WordPress Theme. I stumbled over an introductory offer of Theme Rabbit, maybe one of the easiest and best looking WordPress Themes I’ve seen to date. As time goes on, wordpress theme developers are making it easier and easier to customize a wordpress theme. I remember when it was an absolute necessity to know how to hack away at your theme if you wanted to add some custom content. Well…. Theme Rabbit comes with 10 basic themes, all have unique areas for content, sliders, images, optin forms etc. 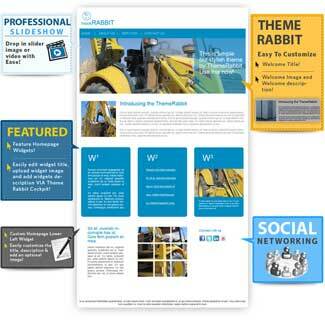 If you are into offline marketing, the Rabbit Themes could be perfect for just about any local business. You could use if for resturants, service people, construction, professionals, local stores …..and I could go on. By the same token, you could easily use the Rabbit Themes for any of your internet marketing needs. Set up and affiliate site, sell a book, use it for a membership…. once again you are limited to your imagination. The developer’s seem to be sincere with their desires to further develop the theme rabbit….. but then again, they all do. Only time will tell. Although, I did get some personal correspondence from them and they seem excited to implement some of the suggestions that have been forwarded to date. They’ve got a winner here, if you are a complete newbie, I really think you could get these themes working with little effort…… and if you are an experienced WordPress Developer and User, you’ll find these a nice change and pleasure to use. Click Here to check out Rabbit Theme. Stay tuned, I’ll be doing a video of this theme and how easy it is to use in the next couple of days. I did a quick video review of Theme Rabbit…. take a look! If you haven’t heard of WordPress then you’re either brand new to internet marketing and website building or you’ve been living under a rock! One of the wonderful things about WordPress is that you can completely change the look of your website by changing the WordPress Theme. It’s almost like putting on a new set of clothes everyday…. or putting on a new jacket! If you have an idea, you can grab a new domain, purchase some hosting and install WordPress on the newly purchased domain with the default WordPress Theme. While it may not be too pretty the entire process takes about and hour or two and you’ve got a website or blog that you can start adding content or information to. So, within an hour you can begin to start building your website by adding content in the form of pages and posts. You can work on adding the content and building the structure of the WordPress blog because it’s important to initially get content up so the search engines find you and begin to “index” your site so it can be found by the search engines. On the other hand maybe you could care less if the search engines find you and you already have a captive audience and its important to simply put information on your blog for your friends or readers to see, sort of a private bulletin board or private white board. A church could be in a position such as this. Although sooner or latter the church would want the search engines to show their blog when somebody looked for a local church, initially the blog would be used to keep church members informed as to Church activities, prayer needs etc. After you get some content up, it becomes fun to dress the site up and make it look nice, easy to navigate….adding banners and images….just a ton of things to do with the design. Typically, this would require editing the HTML and css coding of each page. Well, with a WordPress blog you simply change the WordPress Theme! One of my favorite sources of WordPress Themes is from SolOStream Premium WordPress Themes. I just love their theme called WP-Chatter Premium WordPress Theme check it out. Here are a few other sources of custom WordPress themes that I really like and come with complete support. I met the owner of Gabfire WordPress Themes and he is just a genious when it comes to building WordPress Themes…. on top of that he is a first class guy with great support. He has one of the best looking newspapaer/magazine WordPress Themes available today. Brian Gardner is the owner of Studio Press WordPress Themes and he has built up quite a business. The designs are outstanding and help comes from a variety of methods, but the fact is Brian’s help is absolutely the best. You can find a wordpress theme for the variety of studiopress themes for just about any purpose. You can find may free WordPress Themes, but keep in mind these free wordrpess themes do not come with support. The above themes, Solostream, StudioPress and Gabfire all come with complete support in the form of forums and email or help desk. This is really important if you are new or don’t know anything about WordPress and simply coding tricks in html and css. Every once in a while you can run into some awesome free deals for your internet marketing business. And…. I stumbled across an offer called Smoking Hot Templates! Click Here to go to Smoking Hot Templates, you’ll need to leave your name and email but believe me…..it’s totally worth it. You’ll get 10 html 5 page templates that are absolutely gorgeous. These smoking hot templates are particularly well suited to be used as internet business templates for offline marketing. You get the .psd files so you can edit as necessary. After digging around the site a while I found a real gem. Smoking Hot Templates are offered also in wordpress themes. Better yet you can purchase a smoking hot template theme for only 15 dollars…. they do have a deal if you purchase all 10 themes. I don’t know about you, but I’ve combined standard html sites with wordpress sites many times and find it extremely useful to keep the design and continuity of the site flowing and indistinguishable. Another thing you’ll be able to do is promote your self as an offline marketing expert using these themes. In fact, I’ve not seen anything better you might be able to use as Internet Business Templates for Offline Marketing. You’ll look beyond professional using these themes and templates. 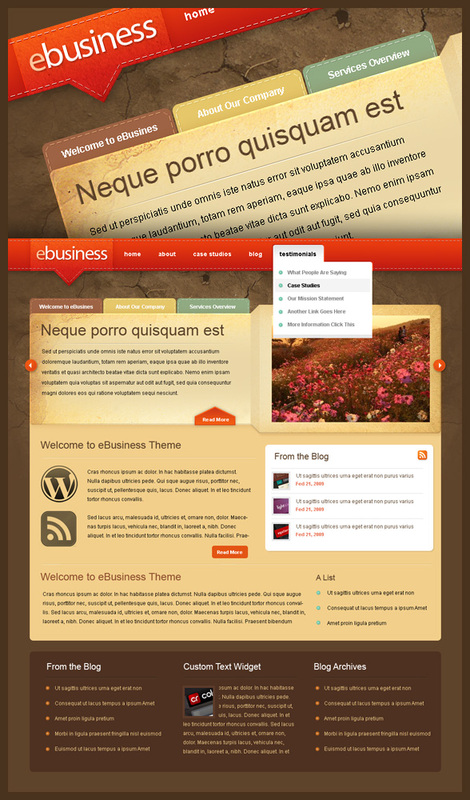 You’ll also be able to use some creativity on your part and edit these themes and use them for offline client websites. If I were you, I’d go to Smoking Hot Templates and get your free copies right now before these guys realize they could be charging for these templates. I’d also purchase the wordpress theme version of all 10 Smoking Hot Templates ….you won’t be sorry because their design is timeless and they make perfect Internet Marketing Templates for Offline Marketing. Check out this video I did on the 10 Free Smoking Hot Templates for Internet Marketers …..you’ll get to see them with a little more detail! Let me know what you think of these templates and themes! WordPress is similar to Xsitepro when you consider that you can completely change the look of the site by changing the theme or template. When looking for wordpress themes I usually search for free wp themes or use something I already have on my hard drive, I certainly didn’t think about purchasing themes! Although, I have to admit, I always thought some of the magazine style wordpress themes were pretty hot. A lot of functionality along with a unique way to manage and present content. Yes, there are free magazine and newspaper type themes available, however, these free themes never come with support and you are usually limited to personal use. 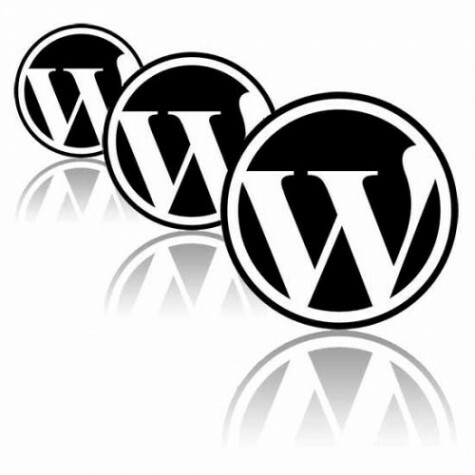 Another thing to consider if you might be interested in purchasing a wordpress theme, there are usually a couple of different types of licenses….personal use and a developer’s license which allows you to create a website for a client using the theme or producing a website using the theme and then selling it. Another purchasing option is buying a developers license for all the themes from any given author. Studio Press, a Brian Gardner creation offers those different licenses and his current series, StudioPress is nothing short of fantastic. I think there are about 14 themes that are part of this series of wordpress blog templates, all of them are awesome. Every couple of months or so he adds a new theme to the series. You might wonder why you would want 14 custom themes and have the ability to sell theme. I’ve seen a couple of people take these themes, post 10 custom articles, create a header graphic and sell them on the Warrior Forum in the Warrior Special Offers forum and people scoop em up because they just look awesome. Just make sure you do some research and pick out a good niche….in fact if you include a keyword list your offer will be that much more enticing. One more way you could use these themes is by doing some offline marketing. By “offline marketing” I simply mean helping brick and mortar business owners create an internet presence or web presence by setting them up with a wordpress blog……..of course you would use these StudioPress themes for offline markeing. This is a no brainer, there are so many businesses with static websites that do absolutely nothing for the owner. All you have to do is show them your cool looking StudioPress theme, set up a few categories, make sure you put an optin form using an autoresponder service like Aweber and you’ll come out looking like knight in shining armour! I’ll give you one more idea for using these StudioPress wp themes. A lot of people are looking for ways to make money online. One method is network marketing. Some network marketer’s are provided with a “canned” type website…..most don’t have any type of website. As you know, setting up a wordpress blog is such a simple thing to do. Your job….should you accept it would be to contact any of these network marketers and offer your services for setting up a blog using StudioPress themes. The thing most network marketers need most are bodies, that is, members. Set the blog up with a couple of keyword rich articles and then set them up with a method of developing and building their own marketing list through an autoresponder service like Aweber! They will think you’re some kind of internet…computer genius….I guarantee! Just wanted to pass the good word on about StudioPress themes and give them my stamp of approval. I have Brian Gardner’s first series of wordpress themes called Revolution Series, and it’s an awesome set of themes. Unfortunately you cannot purchase the Revolution series anymore. However, StudioPress is available, you can see a sample of the Church Theme on my site The Xsitepro Guide. I’ve had an interest in learning how to build wordpress themes from scratch for a long time. Along the way I’ve picked up pieces of information, I suppose just as many of you guys have and learned how to hack my way through a wordpress theme. I even learned how to take an Xsitepro Template and turn it into a wordpress blog with the help of XsiteprotoWordpress which is a comprehensive tutorial taking you step by step through the process of turning a xsite pro template into a wordpress blog. Although there are plenty of youtube videos and other free tutorials, I find that organized compiled courses that offer a class in an ebook format and/or screen capture videos to be most helpful. You can find plenty of tutorials on how to build a wordpress theme that are free by just doing a google search on “how to build awordpress theme” you’ll find some old stuff and you’ll find some very complicated material but if you keep at it you can learn how to build your own wordpress theme. 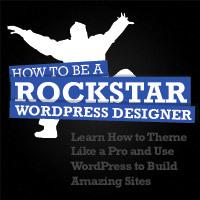 If you’re really motivated and want to jump start the process I suggest the book “How to be a Rockstart WordPress Designer”, an excellent resource for anyone with some knowledge of html and css, you’ll learn how to confidently and quickly how to build a wordpress theme! 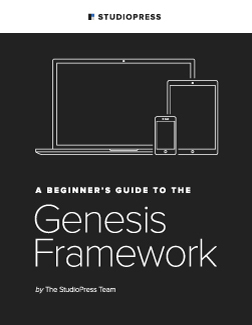 The book is a pdf, so you can instantly download and start learning how to create a wordpress them….I like to print out my books and bind them….I take them wherever I go! There’s a new WordPress Designer in town! My search for professional looking wordpress templates has been ongoing and I think I stumpled into the mother lode! He produces some of the most innovation and elegant themes I’ve yet to lay eyes on. His themes are called ElegantThemes. In my never ending search for themes that would fit local buisiness merchants individually along with tieing into My local business directory theme, which I’ve decided on doing Wp Advanced Newspaper Theme. ElegantThemes look like they will be able to fill the needs of a variety of business types, both service and professional oriented businesses. So my local business directory concept can come full circle. Businesses are first exposed to the main directory which is in the format of Wp Advanced Newspaper Theme. They get involved in the business portal and then naturally will want their own Web 2.0 style website with all the bells and whistles….this is where themes like ElegantThemes come in. I’m not working with a big budget so price is always an issue. ElegantThemes fits into my budget perfectly since it only costs $19 to access all the themes, past and new for a 1 year period. There isn’t a developers licence, but Nick says just buy an extra them at the standard price of ONLY $19 if you are a developer…..keep in mind you have to do that for each client. In case you missed that, it’s only $19 for a full years access for you to use all the blog themes available. These themes will make you look like a star to any client you have. Take a look at ElegantThemes, I know you’ll like what you see and realize what a bargin it is as far as cost goes! I really love magazine and newspaper style wordpress themes and today I want to give you a quick look at one of the best Newspaper Style Themes that I’ve run across, it’s by Gabfire and is called Wp Advanced Newspaper Theme. Gabfire Premium Themes has produced another outstanding custom wordpress theme! It is now extremely easy to start an e-newspaper site even for a startup user of WordPress with Wp Advanced Newspaper theme. The new template contains a lot of new features, including, but not limited to, eye-catching featured entries, and a unique newspaper layout that is easy to navigate and powerful. Translation template which makes it possible to translate into any language easily. Automatic image resizer, which is used to dynamically resize photos for main page thumbnailing. Integrated theme settings page to tweak the layout through WordPress admin dashboard. With all the free themes you might wonder why you would want to purchase a theme. The simple answer is one word….SUPPORT! If you don’t know what you’re doing with these complicated themes you really need to be able to contact someone for help. Mehmet is the genius creator of this theme and is always available and more than eager to help you with your projects….he is a genuinely cool guy. The obvious answer to “Why would you want to buy a custom theme?” is the fact that this theme, “Wp Advanced Newspaper Theme” is unlike any you’ve ever laid eyes on. You can go to the Gabfire Themes Website to check out the license terms of WP Advanced Newspaper Theme. Another great use for this theme is when you use it as a portal site. Offline Marketing is the rage these days, one of the ways to get your offline business running is by setting up a Portal Directory Website for your city or town. Offer a free listing or free introductory blog post to get them interested in your Webdesign services and/or Portal Website. Offline Marketing is really exciting and all Mehmet’s wordpress theme designs are better than anything I’ve come across for developing a Portal Directory Website. All of Gabfire themes are custom newspaper and magazine themes which can be edited by those new to wordpress with a little study. I’ve used some magazine style themes that required massive amounts of code editing….you won’t find this with the WP Advanced Newspaper Theme. Keep in mind, if you do get stuck, their support is just excellent. I highly recommend you give WP Advanced Newspaper Theme a try!